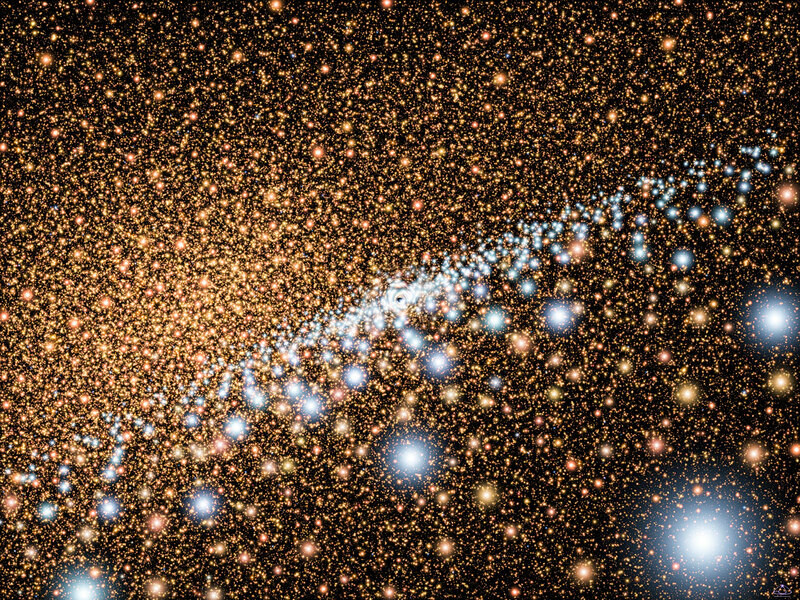 Now, new spectroscopic observations by Hubble's Space Telescope Imaging Spectrograph (STIS) reveal that the blue light consists of more than 400 stars that formed in a burst of activity about 200 million years ago. 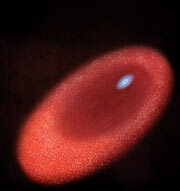 The stars are tightly packed in a disk that is only a light-year across. The disk is nested inside an elliptical ring of older, cooler, redder stars, which was seen in previous Hubble and ground-based observations. 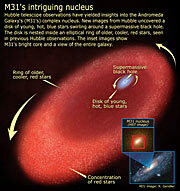 So far, dark clusters have definitively been ruled out in only two galaxies, NGC 4258 and our galaxy, the Milky Way. 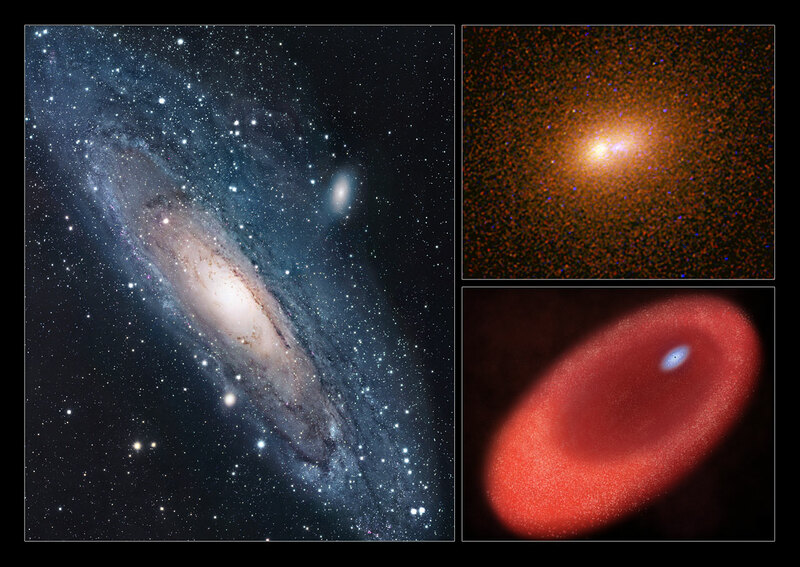 "These two galaxies give us unambiguous proof that black holes exist," Kormendy added. "But both are special cases - NGC 4258 contains a disk of water masers that we observe with radio telescopes, and our Galactic Centre is so close that we can follow individual stellar orbits. 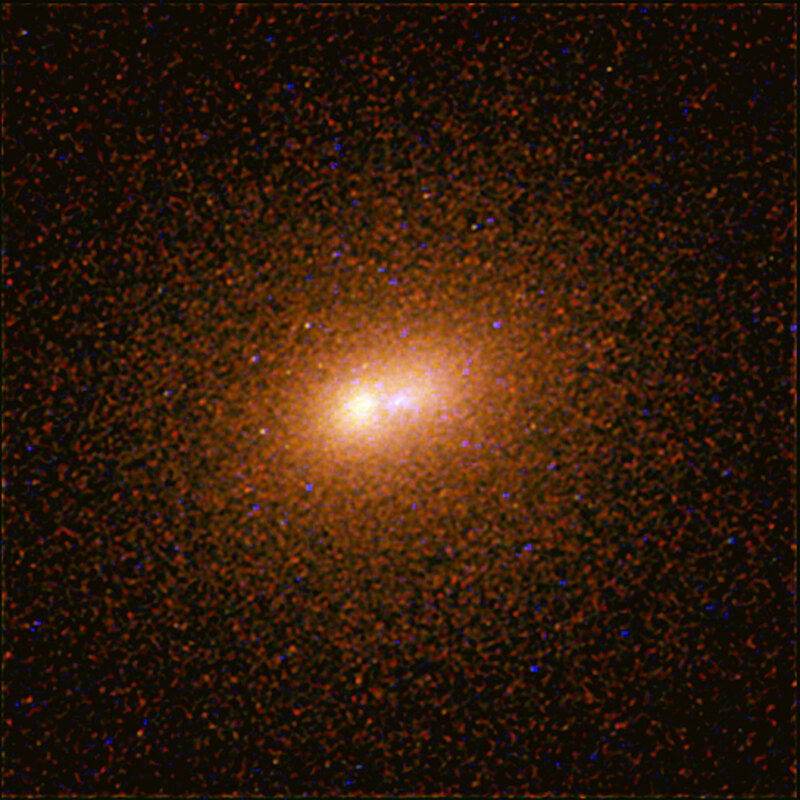 Andromeda is the first galaxy in which we can exclude all exotic alternatives to a black hole using Hubble and using the same techniques by which we find almost all supermassive black holes." 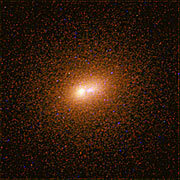 "Studying black holes always was a primary mission of Hubble," ormendy said. 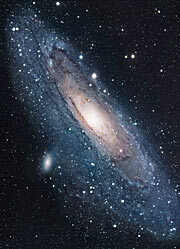 "Nailing the black hole in Andromeda is without a doubt an important part of its legacy. 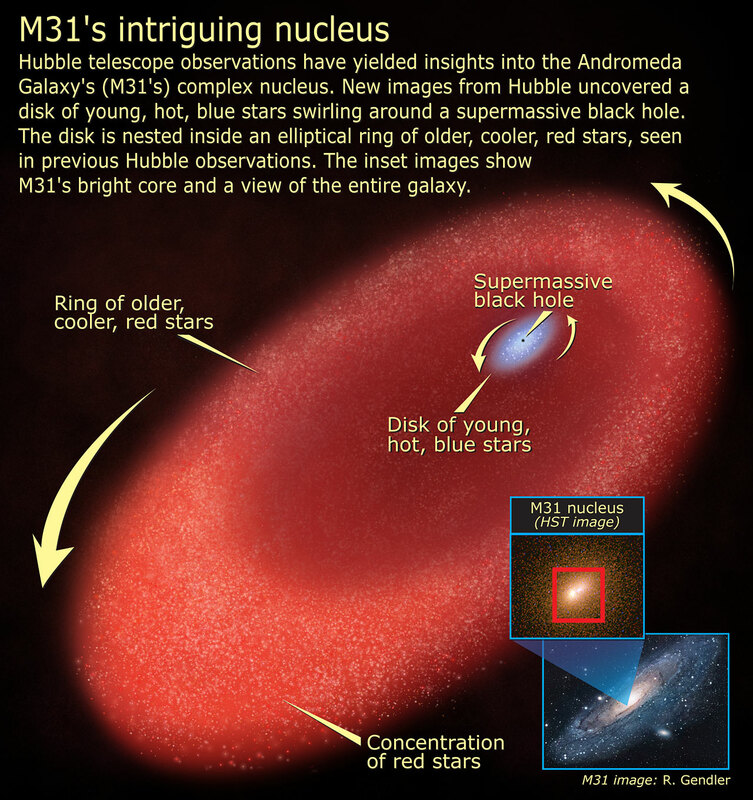 It makes us much more confident that the other central dark objects detected in galaxies are black holes, too."